This old nursery rhyme runs through my head as I sit down to write. So here’s my “bag of wool” — Lending standards are not too tight. And, yes, I am the black sheep in the Mortgage industry for saying so. Everyone in their right mind, including the Fed chief himself, has said that lending standards have gotten too tight. Ben Bernanke reiterated this view once again recently, when he was asked about lending standards during the Q & A session following the minutes. His view in this regard has not wavered. But this idea that Lending Standards are too tight, thereby preventing many people from buying a home, has no factual merit. Unless a buyer’s condo project does not pass or the appraisal comes in low, more than 99% of the time a potential buyer will get approved for a loan. This I say with full confidence and from experience. Yet the Fed chief says standards are too high. How? In what way? Unless you believe bringing back zero down payment loans, extending Debt To Income ratios higher and not allowing any reserves after the transaction then there is little that can be changed to lower standards. Remember this; the first principle on which we should base all lending standards is that the buyer should have the capacity to buy the home and make the payments. What we should not do is lower lending standards in order to create a new pool of buyers simply because some believe the standards are too strict. At some point we will realize that it isn’t lending standards that are the problem. The problem, and the cause of the dearth of buyers, is the economy, debt to income ratios and liquid asset availability. It stuns me that even today the Fed chief hasn’t grasped this concept. 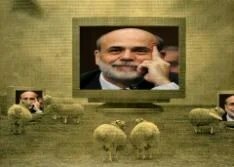 Bernanke also believes that clarity on the regulations will clear up confusion which is causing trouble in lending land. However, the only confusion is among the milling sheep who continue to bleat about lending standards. DTI and liquid assets remain the stumbling block for many would be new home buyers. There is nothing confusing about those terms in the regulations. You can get a loan if you have 642 FicoScore, 3.5% down-payment with Debt to income ratios of 43. That’s not strict; that is damn easy if you ask me. The Put Back wars that Bernanke also talked about in the Q&A is more of a paperwork battle to hedge against future law suits. Freddie, Fannie and FHA will sue everyone they can to get money for their depleted balance sheets since all 3 are really insolvent and need government assistance. Defensive lending isn’t based on a borrower’s capacity as much as the need of extra paperwork to defend against potential future lawsuits. Any positive changes on that front will ease the volume and absurdity of types of paperwork but it won’t create any easing in core lending standards. Changes in this regard won’t bring more buyers to come to market. Jobs, income, liquid assets, proper DTI ratios, good credit record are the real keys. So when the US government fixes QRM ( Qualified Residential Mortgage) & QM ( Qualified Mortgage) don’t expect too much change to core lending standards. Ben Bernanke may believe that clarity on regulations will flush in new buyers. But, that is not true.. If Ben Bernanke wanted to clarify his statement about tight lending standards he should detail guideline changes he wants to see, so that the CFPB ( Consumer Financial Protection Bureau) can review and hash the specifics out. However, he and they won’t because they have nothing useful to say on that front. At least the Black sheep had three bags full, and I just gave you mine. Posted in Uncategorized and tagged Ben Bernanke, CFPB, Fannie Mae, Fed Minutes, FHA, Freddie Mac, Lending Standards, QM, QRM. Bookmark the permalink. You are completely correct. 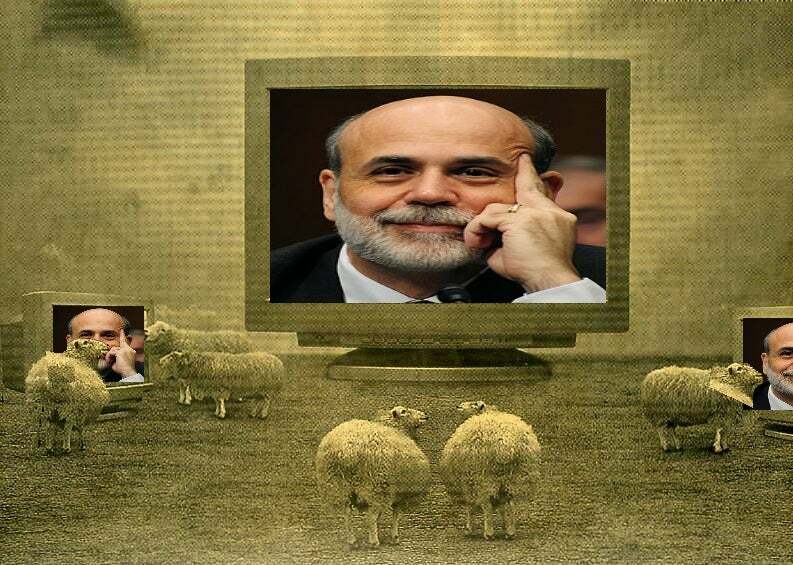 However it’s understandable that Bernanke and the Fed don’t understand this – they are both stupid and corrupt. This is why they inflate the stock market and keep pumping asset prices to please the 1% to the detriment of the rest of the world.